“Nothing in life is to be feared, it is only to be understood” opined Marie Curie, the famed scientist who developed the theory of radioactivity. “Now is the time to understand more, so that we may fear less.” Curie’s timeless advice suggests that fear can be a motivational force for personal growth and an impetus for scientific discovery. For although fear is sometimes paralyzing, it’s also an agent of change. When it stands in the way of our dreams, fear forces us to change — or forever hold our silence. Astronaut Chris Hadfield learned this lesson early in life. 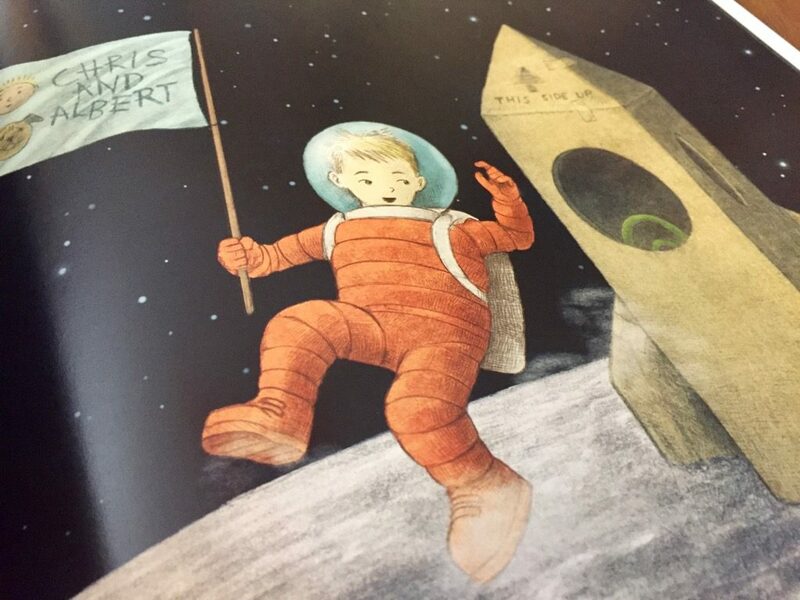 As a child, he dreamed of flying into space, but he was afraid of the dark. 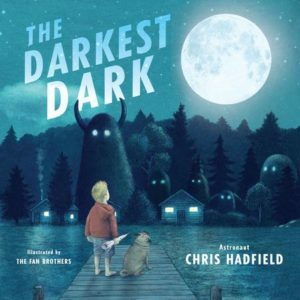 The Darkest Dark (public library), Hatfield’s autobiographical picture book for children, chronicles his personal experience with overcoming fear of the dark. 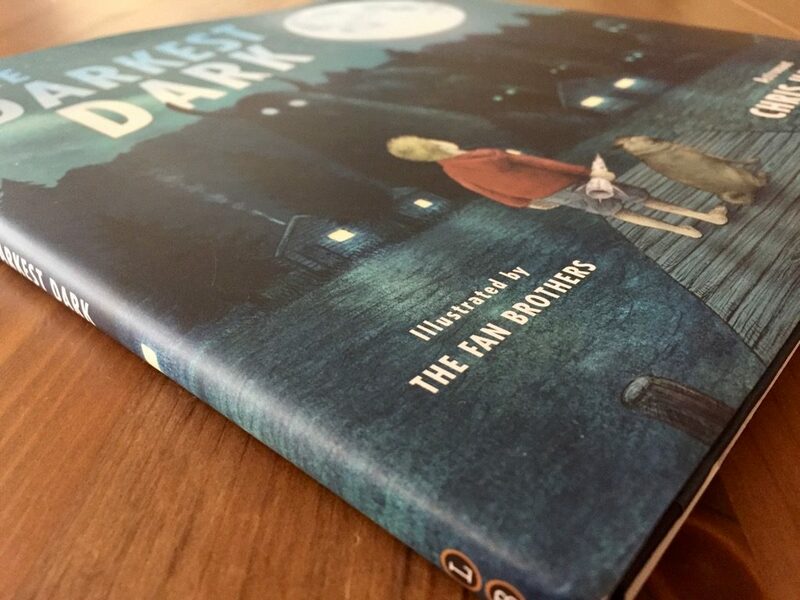 Beautifully illustrated with a powerful message, The Darkest Dark is an inspiration to any child struggling with fear. 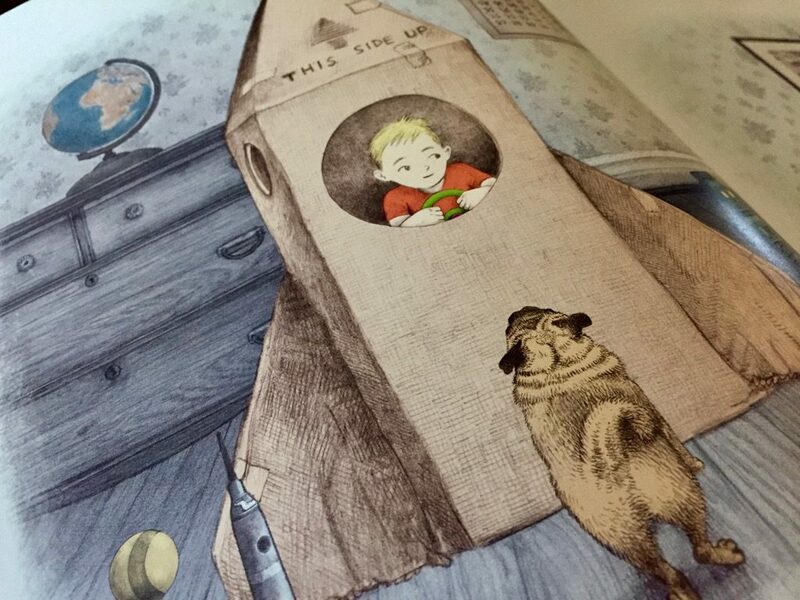 The story starts with Chris playing astronaut in a cardboard ship. But at bedtime, when the lights are turned out, the fear creeps in. 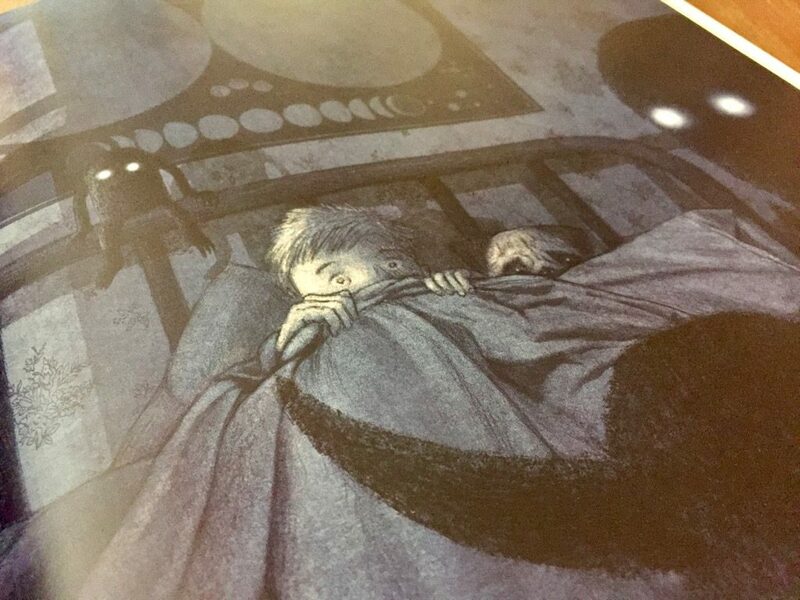 Chris slips into his parents’ bed after seeing aliens in his bedroom. 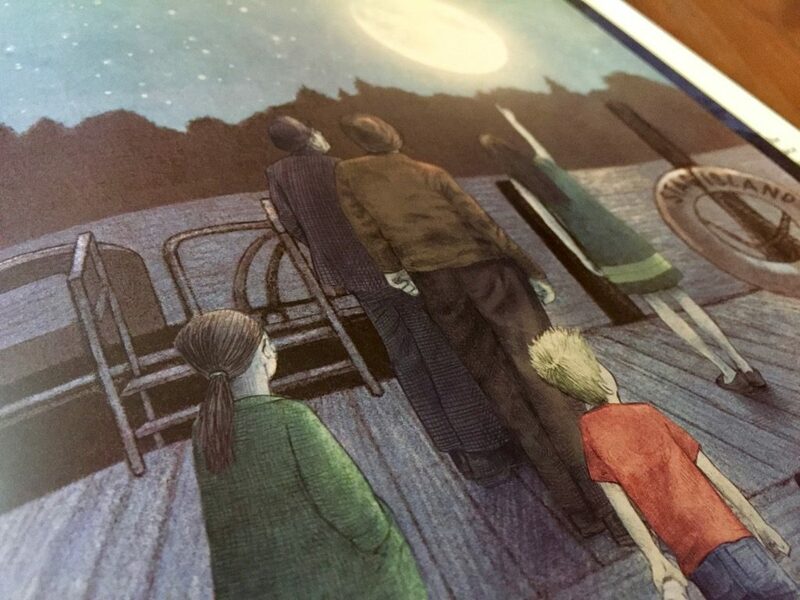 His parents try to coax him back into his bed, but nothing works — except warning him that they might be too tired to watch the Apollo 11 landing on TV the next day. Chris finally goes to sleep, and his family watches the Apollo 11 landing on television the next day. As he’s watching astronauts jump on the moon, he realizes that outer space is “the darkest dark.” The unspoken implication, of course, is that astronauts need to be comfortable in darkness. At home that evening, he tries an experiment. He turns off all of the lights in his bedroom and discovers he’s no longer afraid. For the first time, Chris could see the power and mystery and velvety black beauty of the dark. And, he realized, you’re never really alone there. Your dreams are always with you, just waiting. Big dreams, about the kind of person you want to be. Wonderful dreams about the life you will live. Dreams that actually can come true. Aristotle said that “he who has overcome his fears will truly be free.” That ancient wisdom won’t provide solace to the children who are afraid of the dark, but it will embolden those who have squarely faced their fears to conquer them. Hadfield’s story and professional career are proof that the people who overcome their fears can fulfill their dreams, no matter how lofty. His personal message to readers in the back of the book reinforces the message. Being in the dark can feel scary… but it’s also an amazing place. The dark is where we see the stars and galaxies of our universe. The dark is where we find the Northern Lights shimmering and get to wish on shooting stars. And it was quietly in the dark where I first decided who I was going to be and imagined all the things I could do. The dark is for dreams — and morning is for making them come true. Perfect in nearly every way, The Darkest Dark is a remarkable achievement. 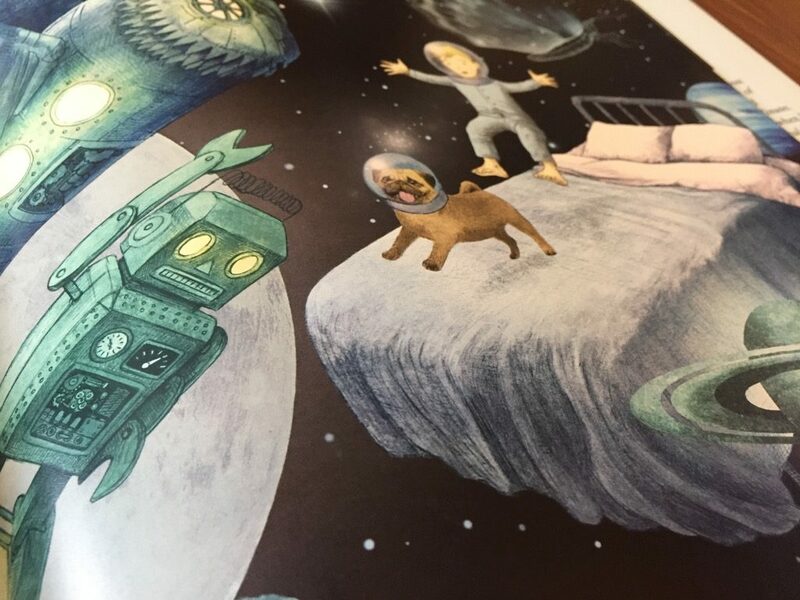 Kids are sure to appreciate and remember this delightful children’s book and its beautiful illustrations. Complement with Gila Monsters Meet You at the Airport, a quirky book about dealing with big life changes.